Are your muscles sore? Do you have aches and pains after a long day at work? If so, Muscle Therapy is the perfect blend of aromatherapy for you. It alleviates sore muscles with our own natural blend of Hot N' Icy! 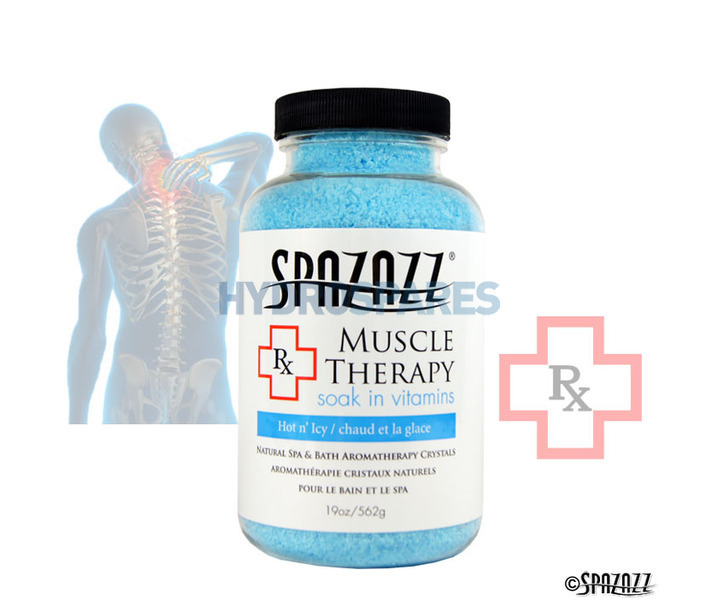 Get lasting relief from your aching muscles as you relax and enjoy! Just add jets and stretch and relax. ngredients: Magnesium Sulfate, Maltodextrin, Vitamin Blend, Arnica, Calendula, Essential Extract Blends, Natural Coloring ... and a few trade secrets.